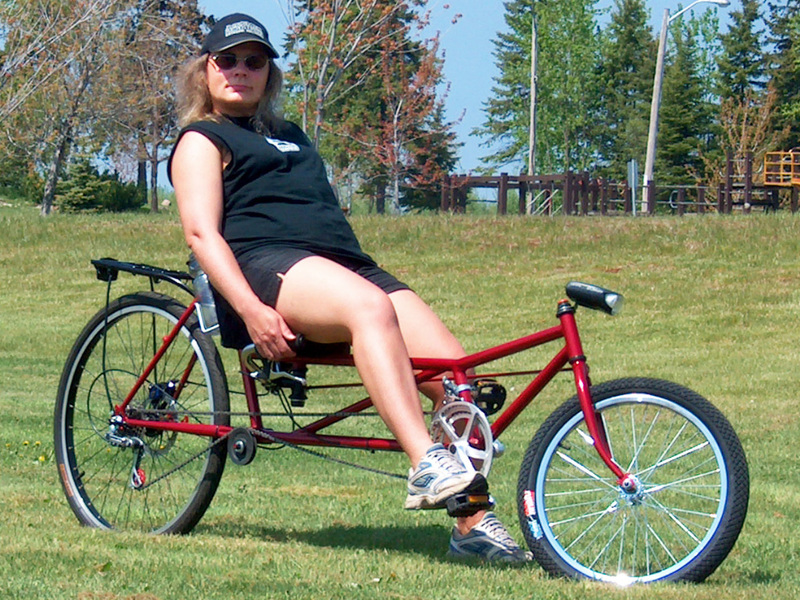 Build Your Own Long WheelBase Recumbent. The Atomic Zombie WildKat long wheelbase recumbent bike is a smooth riding and easy to build recumbent bike that you can create from our easy-to-follow plans. With underseat steering, a rear disc brake, and a comfortable recumbent seat, you can take the WildKat on that long country ride, or commute across town in pure comfort. With agile handling and responsive steering, this bike is great anywhere. You can salvage most of what you need from a single yard-sale mountain bike or road bike, and the rest of the components can be purchased from any hardware store. 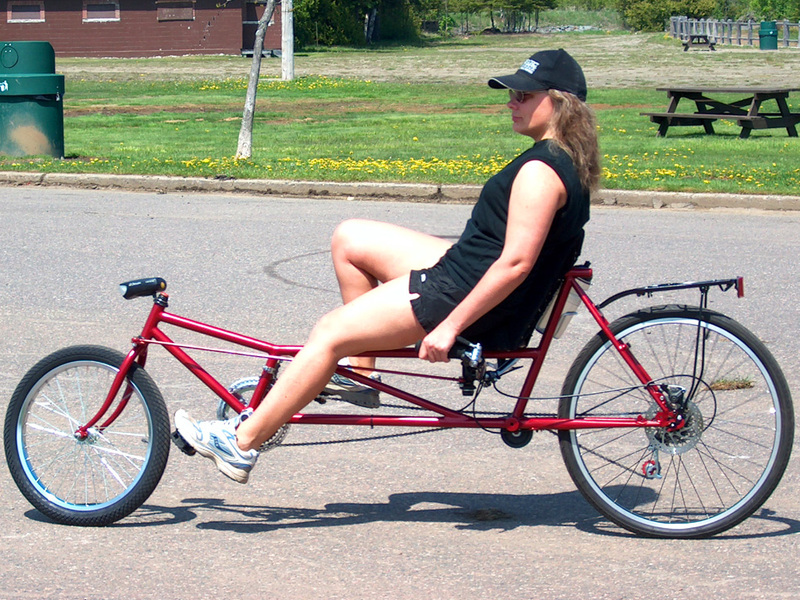 You can build this DIY USS recumbent bike in a few weekends on a very limted budget. Only common bicycle parts are used, and the the frame is made from hardware store tubing or scrap bike frame tubing. The under seat steering place the handlebars in a relaxed position so you can enjoy the view ahead and relax, even with one hand off the wheel. All of the levers and shifters are taken from a standard bicycle or can be purchased new from any bicycle shop for minimal expense. Convert That Old Bike Into Something Much Better. The rear 26 inch wheel offers low rolling resistance and optimum top speed. With 26 or more speeds to choose from means that you can push it all out on the flats or drop into low gear to tackle that steep hill. All of the transmission parts are standard bicycle components and you have the option to use a rear disc brake or a standard caliper brake in our DIY recumbent bike plan. Use recycled components or purchase everything new from a bike shop. Our plans show you how to do every step, and the skills you gain can be transferred to other human powered projects you may want to build. 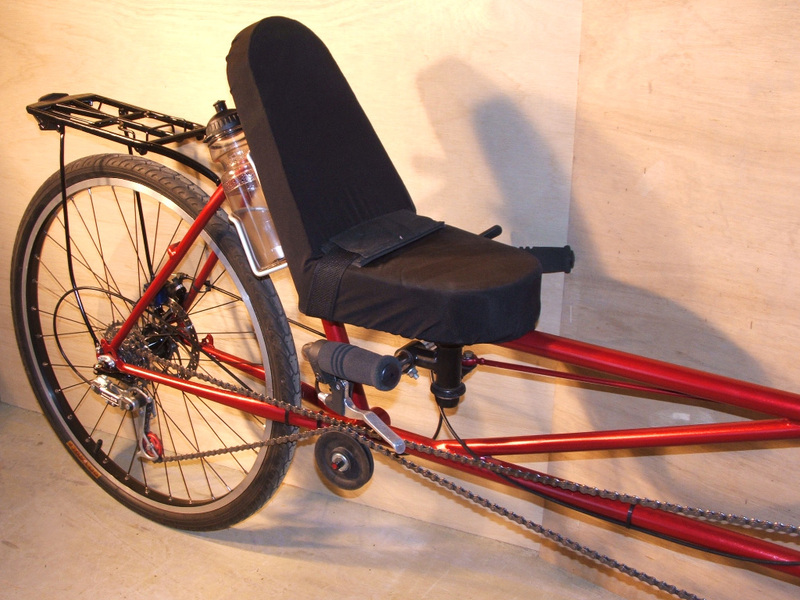 Bike building is a great hobby that can be very addictive, and this DIY recumbent bike is a great start. Easy To Ride and Comfortable For Commuting. The linked steering system gives the WildKat a small turning circle so that it can turn around in any city street. Handling is much like a regular bicycle, so if you have never ridden a recumbent bike before, there will be practically no learning curve at all. 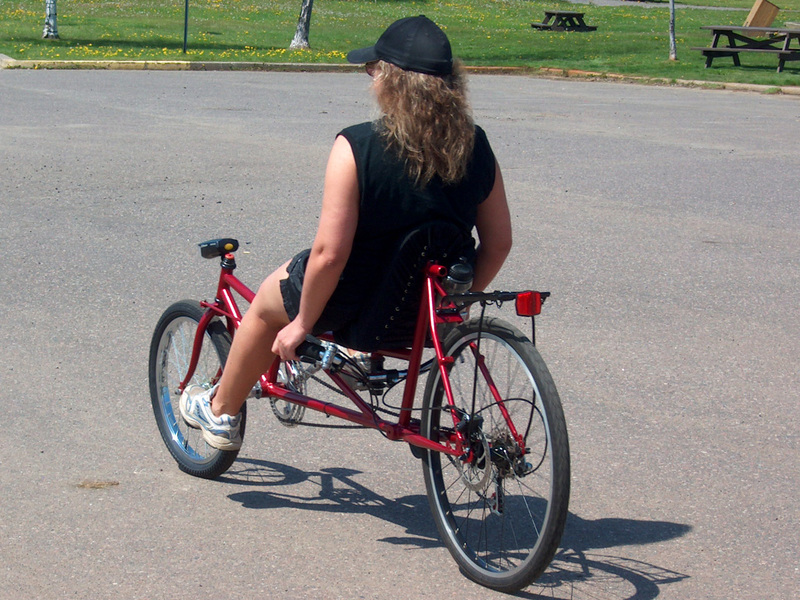 Recumbent seating is so much more comfortable than upright bicycle seating, so you will get to enjoy that long country ride on your new DIY USS recumbent bike. Your will never go back to upright! 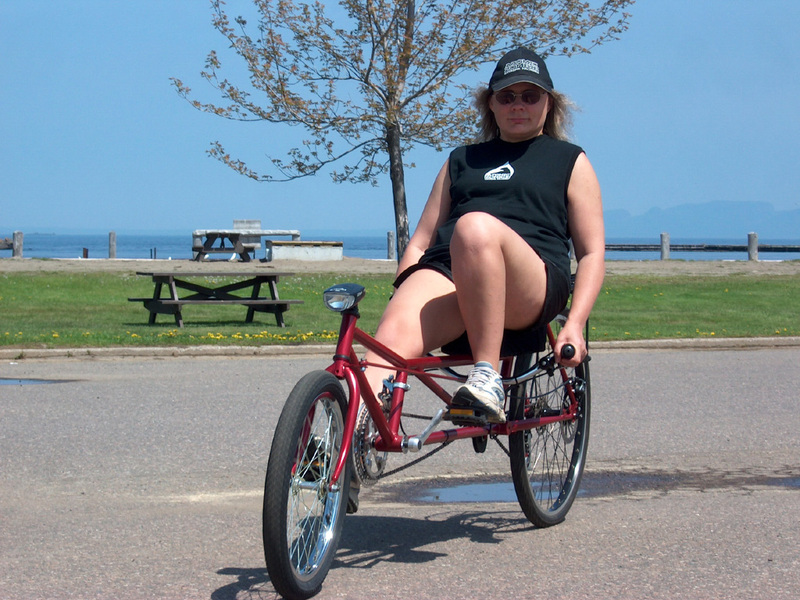 Build your own DIY under seat steering recumbent bike from cut up bicycle frames or hardware store tubing. Even the steering components are easy to make and use inexpensive parts that can be purhcased from any hardware or auto supply store. Put Your Human Powered Engine to Work. The WildKat seat is high enough to offer a good stance in city traffic, and low enough so that anyone can plant both feet on the ground when stopper or when starting out. The relaxed and comfortable recumbent seat will support your back so that you can push hard on the cranks when accelerating or tackling a strong headwind, giving you some advantages over an upright bicycle. One you tune your recumbent muscles, you will shave time off your long commute. Our plans always promote making your own modifications, and seating is one of those things that toy can easily change. make a simple wood and foam seat, or try something different like a car seat or a mesh seat of your own design. Build Your Bike Using Parts You Have on hand. By using the same basic geometry on the rear as an upright cycle, you can add all of the same attachments such as fenders, panniers, or a luggage system for carrying your riding gear. The WildKat DIY recumbent bike frame can be made using round or square tubing, or even salvaged bicycle frame tubing, so it really is a minimal cost DIY recumbent bike project. Like all bicycles, you can go with roadbike wheels our mountain bike wheels, and even alter gearing for your terrain. 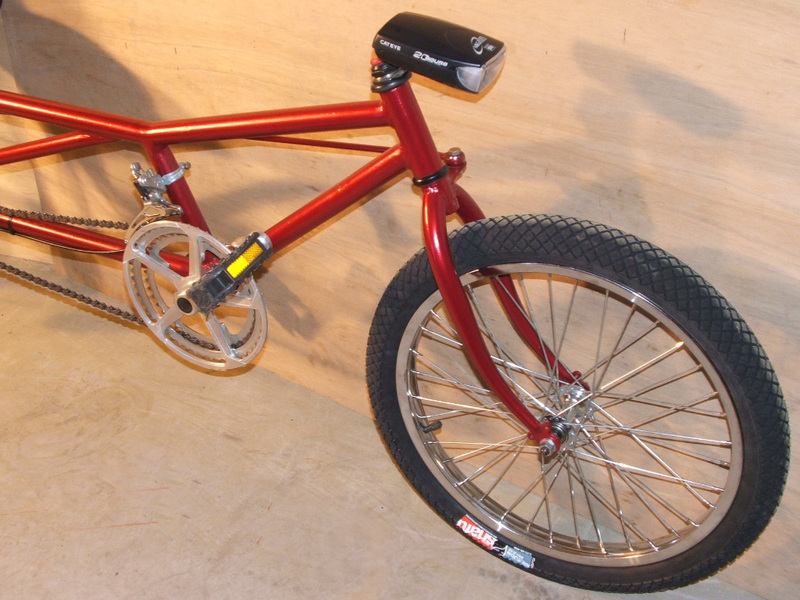 The under seat steering system is made using parts cut from another bike frame, and it is easy to build and to setup. The chain transmission is routed under the seat and kept high off the ground so you can tackle those rough country roads without bouncing your chain. 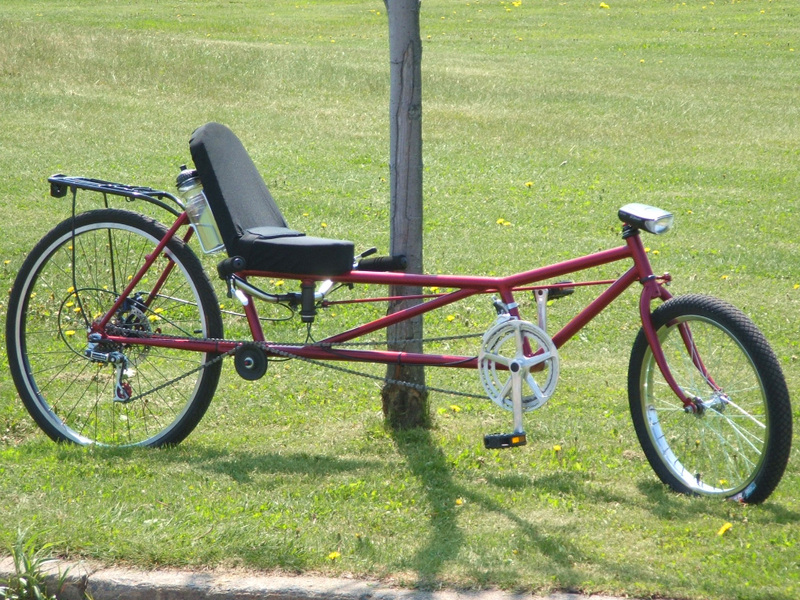 Like all of our DIY recumbent bike plans, no experience is necessary. Our plans will detail every step of the build using clear text and many high resolution photos so that you can create your own recumbent bike in no time at all. 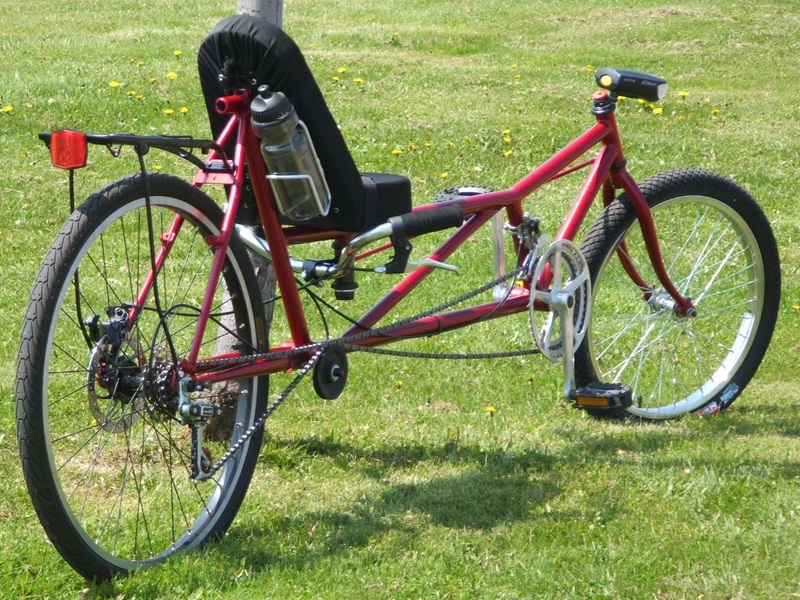 You can build your own great looking recumbent bike in a few days on the most minimal workshop or shed. Your DIY USS LWB recumbent bike will look and perform as well as any factory made bike, and it won't cost you a fortune to make. Learn to cut and chop old bicycle frames for parts, and to create a comfy seat using only plywood, foam padding, and vinyl covering. Out DIY plan even shows you how to modify any frame to adapt a disc brake for smooth stopping power. Enjoy The View On Your DIY USS Recumbent Bike. On a recumbent bike, you don't have to strain your neck to look around at the view while you ride. Sit in a natural position and enjoy the view. Under seat steering places your hands in a natural and comfortable position so you can ride all day without the usual bike pains. For long commutes, try an electric assist motor as there is plenty of room in the frame for a good sized battery pack. Leave that uncomfortable upright bicycle seat behind and enjoy a relaxing tour on a super comfortable and smooth riding recumbent bike. You can build the Atomic Zombie WildKat in a few days using only basic tools and mostly salved bicycle components.